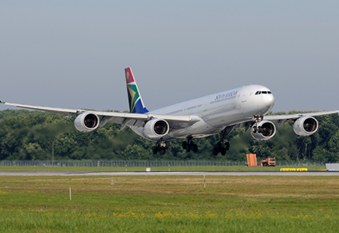 From its entry into service in 2002 til the introduction of the Boeing 747-8 in 2010, the Airbus A340-600 was the world’s longest commercial airlines, capable of transporting 379 people (in a three class layout) over 7,500 nautical miles. 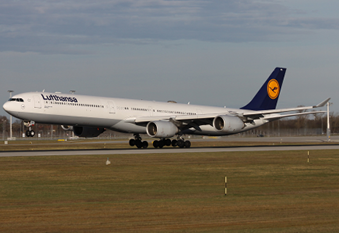 As with all other A340 variants, it is characterised by its four engines and streamlined appearance, due to its single deck and overall length, and is distinguishable from the A340-300 by its larger engines and also its four-wheeled central nose gear (as opposed to the -300’s two wheels). Primary operators of the A340-600 include Iberia, Lufthansa, and Virgin Atlantic.